KING'S Lynn remind all supporters of press and practice and a fans' forum at the stadium this Thursday (March 28). 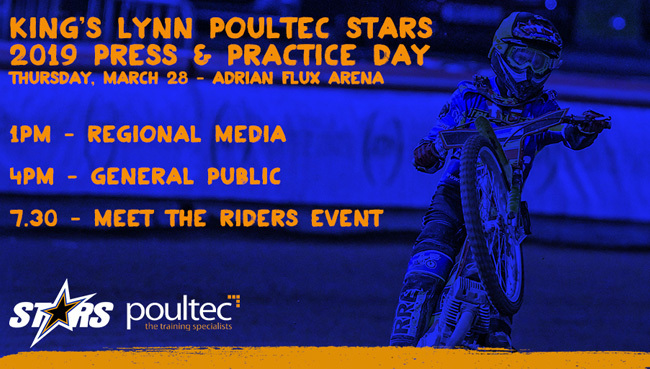 The riders and management will be going through their media duties during the afternoon, and the stadium will be open to the general public from 4pm. Riders are expected on-track for practice from around 4.30pm. We will then be staging a Forum with the team and management from 7.30pm. Entry is free, with voluntary donations requested to the Speedway Riders' Benevolent Fund.